A message to Sega from the people who grew up shoving cartridges into their consoles! Sonic Mania has been an incredibly successful release by Sega. It has been selling like hot cakes around the world. If you check out the latest gaming charts however (August 2017) you will notice an ominous absence of Sonic Mania from some countries such as the UK. This is because they do not account for digital download releases. The fact of the matter is quite simple. Sonic Mania would have trashed current chart topper crash bandicoot, if downloads were being accounted for. Many gamers have expressed disappointment that the game has not been released physically on any platform to date. Sega are no strangers to change and this move obviously cuts cost and allows them to focus on creating more awesome games. I do miss the lack of physical format though. I guess I'm just old school. 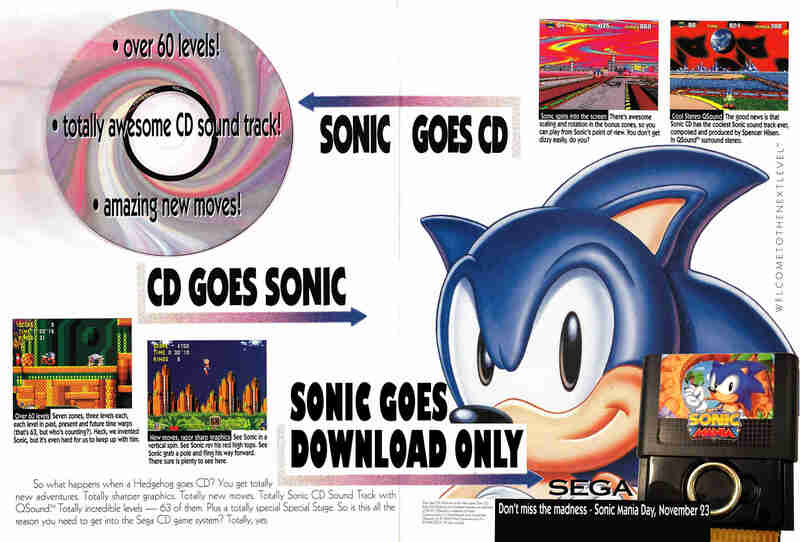 Over the years sonic has moved from cartridge to CD to download. I am fortunate enough to remember purchasing all four of the original Sega Genesis game cartridges and it was an incredibly exciting experience in gaming! When Sonic the Hedgehog 2 was released in the UK it was marketed as "SONIC TUESDAY". I remember the huge lines of people queuing up outside the games stores. Sonic and Knuckles gave us the revolutionary lock on cartridge that allowed you to dust off your old sonic games and play them as knuckles. These were moments of gaming joy that many of us associate with physical formats. Of course the actual process is the same whether we use a disc, cartridge or digital download to play our games. It's all just binary data being interpreted by the CPU no matter where we feed it in from! But to many people the lack of physical ownership really does matter! If you ever speak to people who collect old vinyl records, they will explain to you that there is something special about the feel of the record and the tangible manipulation of the turntable that you could never experience with a download. It's exactly the same for people who grew up shoving cartridges into their consoles! 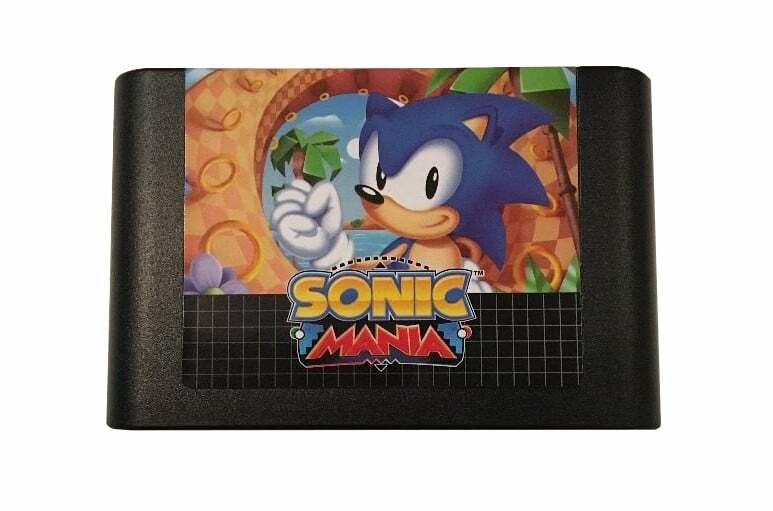 Its obvious from chatter on the web that people would definately by Sonic Mania on disc. I personally think an actual working Genesis cartridge release would also sell very well amongst retro gamers! We are grateful to sega for the awesome collectors edition release of Sonic Mania. This release was definately made with love for the fans. It includes a really cool collectible cartridge and Sega Genesis statue. No the cart doesn't work in your Genesis! If you haven't downloaded Sonic Mania you really are missing out, the game is incredible and features all the sonic goodness that made the originals so playable, even Super Sonic! Who knows, maybe one day Sega may decide to bring us some official new Genesis releases! Get your copy of Sonic Mania and bust up that dirty ol' Eggman once again. Did Michael Jackson write the Sonic 3 soundtrack? HeeHee! OWWWW! 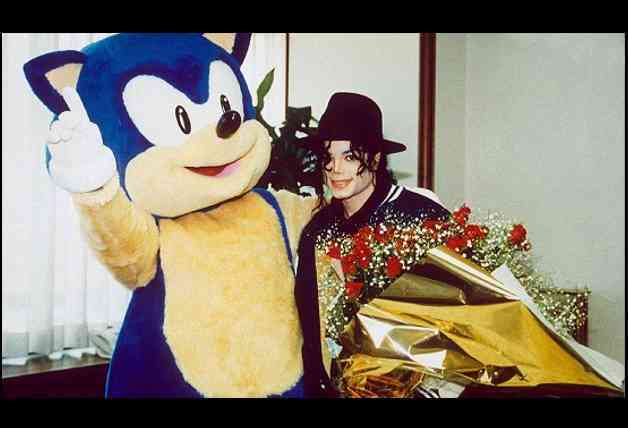 Michael Jackson was at Sega and he was no Stranger in Moscow. Just take a listen to this sample. Did Michael Jackson Create the Music for Sonic the Hedgehog 3? Yeah. Wont buy until SEGA releases a physical. I hate DLC. Not supporting it.